How to use email for marketing is simple. It is not easy but the benefits you get FAR outweigh the time it takes to become proficient! In Learn Use the Top 10 Internet Tools for Small Business, I talked about 10 things that I thought were super vital for your internet success. Here you will find out about how to make the most of email marketing. When you have a list of people who have agreed to receive emails from you, you hold great responsibility. They have said that you can take their time in exchange for providing them with good information. What software should you use for keeping track of your lists? Email Marketing Software Programs â€“ If you have over about 250 people in your database I highly recommend that you start having your people in a â€œrealâ€ email program. Aweber â€“ This is the one that I recommend to all my non-realtor clients considering starting with a “real” email marketing program. Aweber has great email and autoresponder capabilities, meaning that if you are targeting different types of prospects you can do it from one place. The one drawback is that you cannot manually add people individually after your initial upload so be careful if you are wanting to use this as a general contact database (you can have them signup via a web form). Sign up for their FREE trial and see if it will work for you. Constant Contact â€“ This is a friendly email program that is great for beginners but it really makes me mad that they do not have multiple autoresponders so you can not target multiple types of clients (although you can set up multiple types of lists). That being said, it is SUPER easy to use and has really pretty email newsletter templates if you have only one type of client. Brokers Helper â€“ BEST Email marketing program for Realtors with lots of templates and ease of use. They have a FREE trial also! My Red Tools – Brokers Helper program for KW Realtors (you get a little discount) They have a FREE trial also! Almost every small business owner I speak with wants to know what database they can use for everything. Their shopping cart and email marketing and direct mail and the list goes on and on. I wish that there was one UBER program that could handle all of these things well that was affordable for everyone but I have yet to find it. Once you know that you will be managing multiple lists you can get to the business of marketing and stop complaining about how hard it is! Send out information about your product or service. This can be done in a non-spammy way by providing great information and then adding a link to find out more about your offering. This is number one because generally your highest ROI is from selling your own products or service. For example – a garage door guy could send out an email about how to winterize your garage door and then put a link to his page or post that offers that service on a paid basis. Send out emails with affiliate offers in them. This requires that you sign up to be an affiliate with a company or to have a referral agreement with a partner. Almost any business has affiliate programs that are relevant to them and it is easier than ever to get information about available offers. I like to use www.offervault.com to find great offers easily. Email information about your industry. This is the most passive kind of email as there is no call to action to buy anything. That having been said, Lori Crawford of Trinity Eastlake Real Estate gets a lead almost every time she sends out a newsletter about local real estate information to her list. You would be surprised at how just contacting your list on a regular basis will get you more business! So now you have a regular email marketing program set up..what’s next? Autoresponders! Autoresponders work by sending out a series of emails once someone has signed up for your email list online. All of the email marketing software programs that I recommended you use have some sort of autoresponder built in. Sending out too many messages – I KNOW, everyone says you should send out messages to your list daily or at the very least weekly. I think that people can get overwhelmed when you send out too many messages and that the impact can get diluted. I like to send out two messages a month and have had great feedback on that amount. Numbering their messages – I have one list I am signed up to that tells me I am on message number 235, etc. I think that they did it for ease of use in setting up their autoresponder series BUT it just reminds me that they have sent me LOTS of messages. Not adding their blog posts to their autoresponder series. I know that I am a prime offender for this one. DO NOT assume that everyone who signs up for your lists reads your blog posts regularly. 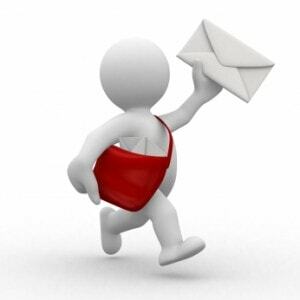 This is a great place to get extra content for your autoresponders.